Politicians and campaigners should take care not to “inflame” tensions in the UK caused by Brexit, a senior police chief has warned. Chairman of the National Police Chief Council (NPCC), Martin Hewitt, said people should think carefully to avoid inciting others to violence. Police have 10,000 officers ready to deploy at 24 hours’ notice as part of possible no-deal Brexit preparations. However, police chiefs said the measures were only a precaution. Mr Hewitt said the NPCC was preparing for the “worst case scenario” and was not predicting major problems. The warnings follow increased concern about intimidation of MPs. Mr Hewitt said the UK was in “an incredibly febrile atmosphere” as a result of the debate over leaving the EU and there was a lot of “angry talk” on social media. Officers in charge of policing Parliament said they had seen an increase in abuse aimed at politicians and several MPs have requested increased security. 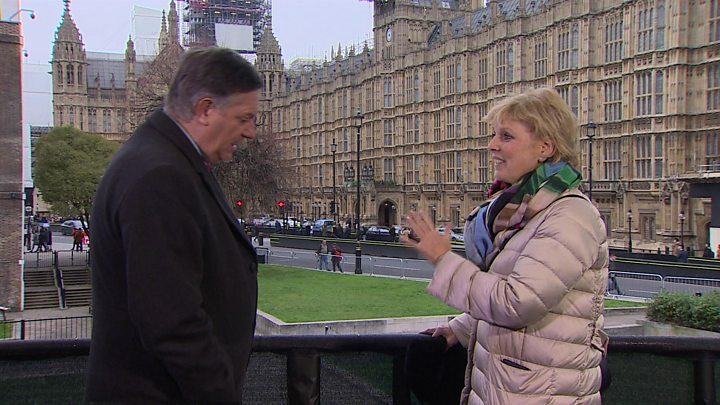 Commons Speaker John Bercow condemned the behaviour of protesters as a “type of fascism” after Remain-supporting MP Anna Soubry was verbally abused at Westminster, while one pro-Brexit MP took to wearing a body camera on his way in and out of Parliament. Only a small number of crimes have been linked directly to Brexit, police said, with about half being malicious communications, while the rest included verbal abuse, harassment and offences committed during protests. But hate crimes remain higher than before the 2016 EU referendum. They said they would be able to deploy 1,000 officers at an hour’s notice, or more than 10,000 drawn from across England and Wales within 24 hours – more than were used in the 2011 London riots. Specialised teams such as dog handlers, armed police and search-trained officers would be available, while 1,000 officers have received extra training so they could be deployed to Northern Ireland.